Below is a comprehensive list of hotels in Fowey. Use the sort links to refine your search or to find featured accommodation in Fowey. Many of our hotels in Fowey feature no booking fees and best price guarantee when booked through the Pictures of England website. 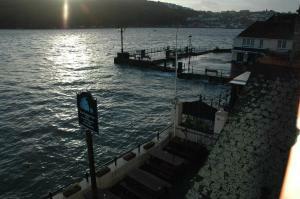 To list your hotel in Fowey, click here. Located in Fowey by the river and the Royal Fowey Yacht Club in Cornwall, The Galleon Inn features river views, a bar with billiards and a restaurant..
A luxury hotel in Cornwall overlooking the Fowey’s attractive waterfront, the award-winning Old Quay House has a waterside terrace with estuary view.. 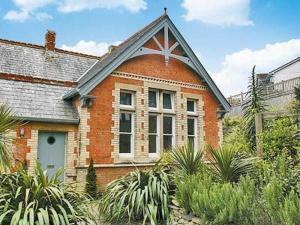 The Well House Bed & Breakfast is located in Fowey. The family-run accommodation is situated in a Grade II listed building dating back to 1430, and of..
King of Prussia offers accommodation in Fowey. Guests can enjoy the on-site bar. The rooms come with a flat-screen TV. Some rooms include a seating a.. Situated 35 km from Plymouth and 33 km from Newquay, Riverside Loft offers accommodation in Fowey. The property is 37 km from Falmouth and boasts view.. 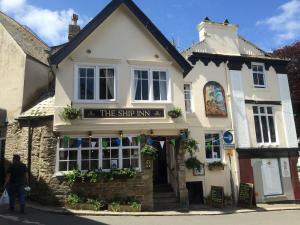 The Ship Inn is set in Fowey, 36 km from Plymouth. Guests can enjoy the on-site restaurant. Every room comes with a shared bathroom. Newquay is 33 k..
Foye Old Exchange offers accommodation in Fowey. The rooms are fitted with a flat-screen TV. Certain units feature a seating area to relax in after a..
Cobbs Well is a holiday home is set in Fowey and is 35 km from Plymouth. Guests benefit from free WiFi and private parking available on site. A flat-.. 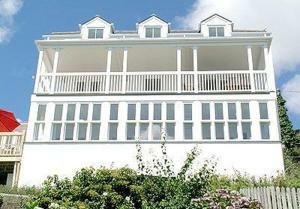 Located in Fowey, Beam Reach offers self-catering accommodation with free WiFi. The unit is 35 km from Plymouth. The kitchen is equipped with a dishw..
Fowey View is a holiday home located in Fowey, 35 km from Plymouth. The property is 33 km from Newquay and free private parking is featured. There is.. 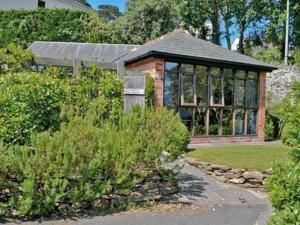 The Summerhouse is a holiday home located in Fowey in the Cornwall Region and is 35 km from Plymouth. It provides free private parking. The kitchen i..
Sea Blue is a holiday home is situated in Fowey and is 35 km from Plymouth. It provides free private parking. A dishwasher and an oven can be found i..
Set in Fowey, this holiday home is situated 35 km from Plymouth. It provides free private parking. There is a dining area and a kitchen as well as a ..
Fairmaiden is a holiday home with a barbecue, situated in Fowey in the Cornwall Region. The unit is 35 km from Plymouth. There is a dining area and a..
Set in Fowey in the Cornwall Region, this holiday home is 35 km from Plymouth. The unit is 33 km from Newquay. The kitchen is fitted with a dishwashe..
Seascape is a holiday home located in Fowey in the Cornwall Region and is 35 km from Plymouth. It provides free private parking. There is a dining ar..
Set on the banks of the Fowey River Estuary in Bodinnick, The Old Ferry Inn has provided food and cosy accommodation for over 400 years. It features a..